Take two virtually unknown singers, Don Nix and Jeanie Greene, one 78 year old bluesman, Furry Lewis, a 15 piece backing band dubbed the Mt. Zion Band and Choir, and then charge a robust $1.50 to see them in concert. And so it was with The Alabama State Troopers back in 1971. Think Delaney and Bonnie on tour without the star power. The Alabama State Troopers performed at the Long Beach Civic Auditorium October 15, 1971, and the Pasadena Civic Auditorium two days later and the tape machine running. Those performances resulted in the double album Road Show. Real Gone Music has now reissued this long out of print and vastly underappreciated album. Their music was a fusion of blues, soul, and funk. Lewis began his recording career as an acoustic blues guitarist in 1927-1929. While not a big name in the early 1960s blues revival movement, he had performed with nix in the past. Nix had been associated with Leon Russell 1963-1969 and released two excellent albums. Jeanie Greene quickly disappeared from the music scene but she had a fine voice that was equally at home in a blues, gospel, and rock format. They were one of those bands that were better live than in the studio as it gave them room to stretch out their songs through improvisation. The tracks are presented as they were performed with no overdubbing or studio tricks. The only negative mentioned in the liner notes were the elimination of some songs due to time constraints. The acoustic part of the concert finds Nix and Furry technically adept as they play their hybrid brand of the Delta blues. “Chicken Ain’t Nothin’ But A Bird”, a wonderful laid back version of “Will The Circle Be Unbroken,” “Jesus On The Mainline,” and “Furry’s Blues” are all very listenable over 40 years later. They are better in full electric rock/blues mode, which makes sense if you have a 15 person group on stage. Greene and Nix both had commanding and explosive voices that fit their brand of music. By the time they reach their concert closer “Goin’ Down” they sound exhausted as they go all out all the time. 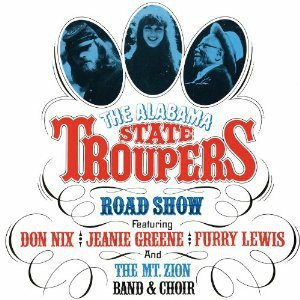 The Alabama State Troopers were a band for the short hall and their sound quickly became obsolete as the 1970s progressed and eventually disappeared. Their music is raw at times, over the top in other places, but always well-played and entertaining. Road Show is a nice journey back in time to a long gone era and it is nice to have it back in circulation. Don Nix, born 1941 in Memphis, Tennessee, is one of those people who has spent nearly all of his adult life in the music industry yet is not a household name. This is due to the fact that his time as a producer, arranger, session musician, and songwriter has overshadowed his releases as a recording artist. His career has had an eclectic nature to it. The Mar-Keys were hired as a house band for the Stax label in the 1960s. He has worked with such artists as Eric Clapton, Jeff Beck, Delaney & Bonnie, Leon Russell, Jeff Beck, Freddie King, and Albert King. He coordinated and sang in the choir for Ravi Shankar and George Harrison’s Concert for Bangladesh in 1971, and the next year released a version of an oft-covered blues standard that he first produced and wrote for the band Moloch in the late ’60s, “Goin’ Down.”. Also during 1971, he signed with the Elektra label and recorded his second solo album, Living by the Days. That album has now been reissued by Real Gone Music. It was an album that did not change the course of American music but one that fused blues, gospel, and soul into one creative mix. It was very close to the sound Delaney and Bonnie were producing at the time. The accompanying booklet contains the lyrics and a nice overview of his career. The sound has been remastered and comes across as clean and clear. 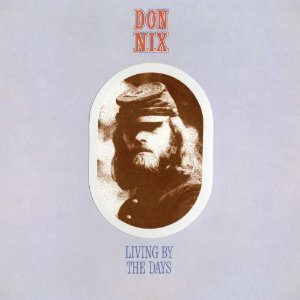 Living by the Days is a nice trip back to the early 1970s as Don Nix’s mix of musical styles and sounds is finally resurrected. It contains some good music from the era and is definitely worth a listen. Article first published as <a href=’http://blogcritics.org/music/article/music-review-don-nix-living-by/’>Music Review: Don Nix – <i>Living by the Days</i> [Remastered]</a> on Blogcritics.